What Is A Deluxe Medical Pedicure? A Deluxe Medical Pedicure includes the following 3 components: Magnesium Soak, Medical Pedicure, and a Paraffin wax treatment. Relax with a magazine while your feet are placed in a magnesium salt bath for up to 10 minutes before your Medical Pedicure. Magnesium is present in over 300 enzyme systems in the human body, regulating blood pressure, synthesising proteins, and monitoring muscle and nerve functions. The health benefits of Magnesium Chloride are utilised to their fullest potential when absorbed through the skin. Benefits: Soften feet, decrease cramping and pain, reduce inflammation, assist in treating fungal infections, exfoliate cracked heels, reduce stress, anxiety and headaches, aid insomnia and more! After your Medical Pedicure enjoy the benefits of a Paraffin Wax Treatment. Your feet will be enclosed in a warm wax and sealed in fluffy booties while you let the wax work it’s magic. A Lavender ‘AromaVapor’ is released into the air to soothe and aid relaxation. Benefits: Increase circulation, softening rough, callused skin, assist with arthritis/joint stiffness, bursitis, eczema, psoriasis, fibromyalgia, overworked/fatigued muscles, tendonitis, scar tissue, inflammation, muscle spasms and dry skin. HAVE YOU SEEN OUR NAIL POLISH COLLECTION? If you are seeing one of our Podiatrists, then you are looking after your feet! If you like to show them off and are a nail polish kind of person, then we have just the thing for you! We now stock (in clinic and online). Dr’s Remedy was formulated by Doctors and is a vegan polish infused with organic tea tree oil, biotin, wheat protein, garlic extract and lavender. It contains NO formaldehyde, formaldehyde resin, toluene, TPHP or Phthalate. 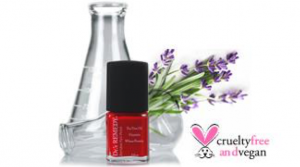 Dr’s Remedy is the best alternative to traditional nail polish. They have over 40 shades to choose from plus a 2-in-1 base and top coat which contains biotin, tea tree oil, as well as cactus, ginseng and kale for added hydration.